Cherry Wood Adventures is an outdoor activities business run by Sarah Kelleher. 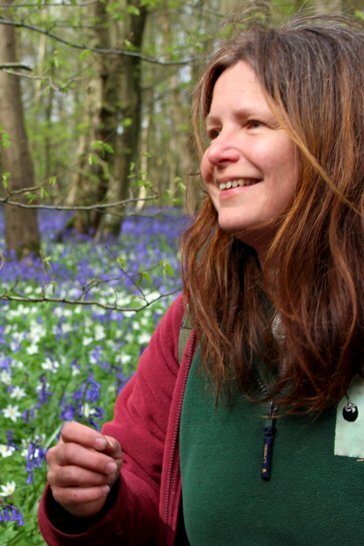 Taking inspiration from the Forest School ethos, and using twenty years' experience in outdoor education, Cherry Wood Adventures' ultimate aim is for everyone, young, old and in between to enjoy, love and care for our environment. Sarah takes the view that you need to be able to recognise the elements of the natural environment to engage with it. Understanding then generates the desire to care for and preserve our Sussex countryside for future generations to enjoy as much as we do. Cherry Wood Adventures can run bespoke activities and events, for adults as well as children, in addition to those featured on this site. There's no shortage of inspiration on the bookshelves to get you started or to find out more. Get some good identification guides and discover what's out there for yourself. Collins birds, flowers and insects guides are accessible yet accurate. Get inspired to inspire others - Earthwise books are stuffed with ideas to engage children in the natural environment. Stories aren't just for bedtime - what could be more exciting than reading The Gruffalo in the deep dark woods! Cherry Wood Adventures is fully insured for outdoor activities, including using fires and knives, climbing trees and being on the beach. Copies of policies and risk assessments can be viewed on request. Where stipulated, adults must accompany children at the ratios stated. Payment for events must be received within 3 working days of the booking being made, otherwise the place will not be held. Cancellations made one week or more before the event date will be refunded minus a £3 administrative fee. Cancellations made less than one week before the event will not be refunded. If an event has to be cancelled due to my ill health or extreme bad weather, every effort will be made to reschedule, or a full refund will be made.